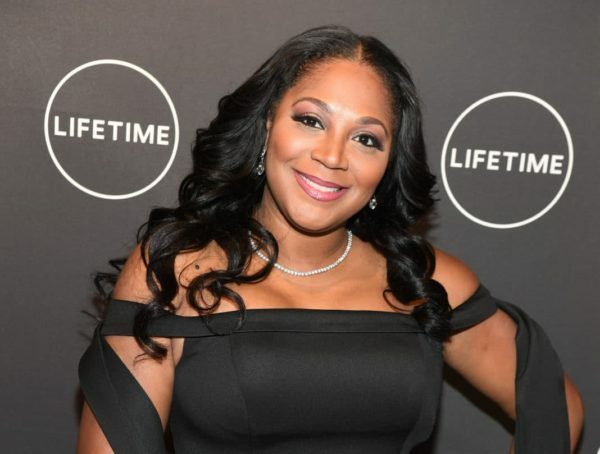 Trina Braxton has landed a new gig as co-host of TV One’s “Sister Circle.” The Braxton sister’s addition to the daytime talk show comes after comedian and original co-host Kiana Dancie leaving on what appears to be a decision not from her but from head honchos. According to The Atlanta-Journal Constitution, executive producer Helen Swanson said Braxton sat in on a couple of episodes during the series’ first season and Swanson instantly liked the chemistry generated between the women. The EP said she found the “Braxton Family Values” star’s “soulfulness” engaging. Once Braxton joins the show in its second season, which begins Monday, Sept. 10, she will boost the star lineup on the show, which already features “Married to Medicine” star Quad Webb-Lunceford, singer and “R&B Divas” star Syleena Johnson and TV, radio host and sports reporter Rashan Ali. All of the above women were original hosts on the show with Danice, whose last day is Aug. 21. According to Swanson, Dancie was able to utilize the exposure from “Sister Circle” to land parts in film and stand-up comedy spots. “Sister Circle” live launched in fall 2017 as a way to “inspire African-American women” according to a press release. As well as tackling news topics the show has also showcased insights on relationships and parenting along with covering the newest trends. On Facebook Live Tuesday, Danice affirmed that it will be her last day on the show. Among her future projects, Danice said she has a BET movie, “One Crazy Christmas” set for the end December as well as completing her book, which is due out that same month. She is also a franchise owner of CPR Cell Phone Repair. Meanwhile, Braxton has been soaking in congratulatory messages on Instagram.